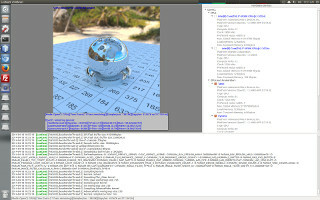 LuxMark is a OpenCL cross-platform benchmark tool. The idea for the program was conceived in 2009 by Jean-Francois 'Jromang' Romang. It was intended as a promotional tool for LuxCoreRender (to quote original Jromang's words: "LuxRender propaganda with OpenCL"). The idea was quite simple, wrap SLG inside an easy to use graphical user interface and use it as a benchmark for OpenCL. After AnandTech adoption of SLG as OpenCL benchmark, the code was finally written by David 'Dade' Bucciarelli. LuxMark has been widely used as OpenCL benchmark by AnandTech, Tom's Hardware, Vr-zone and many other sites. AMD has used LuxMark as one of the 5 GPU computing benchmarks to present the HD7970 and Apple used LuxMark to show the potential of the new Mac Pro. LuxMark is now based on LuxCore, the LuxRender v2.x API available under Apache Licence 2.0 and freely usable in open source and commercial applications. This web site is dedicated to the collection of all LuxMark v3.x results submitted by users. Submitted 2 weeks 2 days ago by zoltm. Submitted 2 weeks 2 days ago by rome2807. Submitted 2 weeks 2 days ago by drakesword.